When traveling to unfamiliar areas, whether it be a new city within the United States or traveling abroad, it’s important to travel smart in order to not present yourself as an easy target. The main topic to keep in mind when traveling: Blend in. We’ve all been there, walking around in a familiar city and you can easily pick out a tourist. Map and camera in hand, asking for direction, closely studying the local public transportation maps at each stop or enjoying the sights and sounds of their newly found attraction, while the locals are hustling by. The next few topics are those that should be researched and studied before traveling to keep yourself from being an easy target. -Upon arrival, follow the baggage claim signs and walk confidently to claim your luggage. You didn’t travel all this way to stop and take photos in the airport. -Research the location of the rental car business. Know if it’s on or off the airport property. Do you need to take a shuttle to get your car? -Research taxi fare costs from the airport to your hotel. If you’re taking a taxi from the airport to a popular tourist spot, the taxi driver will already know an estimated amount of fare. Ask before you get in the taxi. Make sure the driver starts the meter. Don’t arrive at your hotel to find out that a 10 minute ride just cost you $50. -Always carry a paper map along with a smart phone map to better understand an unfamiliar area. Being aware of general directions will greatly help with an overall confident appearance in public. Simply stating to a taxi driver that you would rather take 10th Street instead of Washington Avenue, sets the tone that you know your way around and you won’t be hustled. -Always walk straight to the first taxi in line. If you are encouraged or pushed by the taxi attendant to another taxi waiting nearby, insist on taking the first taxi that any local person would use. -Take a screenshot/photo of a paper map in case you lose cell phone/GPS coverage will traveling. -Understand the local public transportation systems: Walking confidently from stop to stop or transfer to transfer, gives the appearance that you’re a local. Locals tend to carry less valuables than a traveler does. -Research payment methods: Knowing what the local bus or train fare is before getting onboard will help you blend in. Just think, do local routine bus riders have to stop and ask the driver how much it cost to ride? Nope, but travelers do. -Pick a hotel in a well populated and lit area. Even though you may be in a tourists area, you’re chances of being a victim as a tourist are less likely in an area with many tourists rather than an area where you’re the only tourist. -Know all emergency exits at your hotel. Don’t be afraid to play the dumb tourist and walk into an “employee only” door to find out if there are any additional exits to the hotel. -Use any secondary locks on your room doors when you’re inside. There are a few secondary door stops that you can travel with which are inexpensive to purchase. -Take all valuables with you when leaving the room, no matter how long you will be gone. -Buy a local prepaid phone from a foreign country. Put the local police, nearest hospital, your hotel, and United States Embassy phone numbers in your new purchase prepaid phone. In the event of an emergency, you don’t want to find out that your personal phone doesn’t work in the area you’re at. -Attempt to get a second-floor room. A second-floor room is low enough to jump from during an emergency but less accessible from outside. -Monitor what nationalities are in adjacent rooms. Is the hotel rooming all Americans adjacent to each other? Are these rooms being monitored? -Use traveler’s checks or carry multiple debit/credit cards when traveling. Ask friends/family to carry some of your cards and carry theirs in case someone loses a wallet. -Photocopy everything in your wallet. That way if your wallet is stolen, you’ll have copies of all your cards and identification to report stolen/lost. -Save a copy of all your photocopies in an email. In the event that you lose everything, you can always access your email account and print identification documents. -Don’t show large amounts of cash. Carry minimal spending cash in your front pocket to use for general purchases. Don’t pull out your wallet with all your money to purchase a $5 item. -Carry your wallet with minimal items in it in your front pocket. You are less likely to have your wallet stolen if it’s in your front pocket. -Avoid flashy jewelry and watches. “Bling” catches a thief’s eye. -Carry a paper map and mark all the danger zones, police stations, hospitals, and United States Embassy on it. -Report to the Embassy for any lost/stolen passport issues. Present a photocopy of your passport to further expedite getting a new one. -Report to the Embassy for any non-medical emergency related issues. In the event of medical issues, seek medical attention at a local hospital but also contact the local Embassy for further medical guidance. How many times you had to think about toughness, ask yourself are you tough enough? Regardless of your particular career aspirations, there’s no denying the fact that a little mental fortitude can go a long way towards helping you achieve your career goals and find success in all facets of life. It’s true — mental toughness, when handled properly, helps you command respect from colleagues and peers, advocate for your point of view on projects, negotiate effectively, and will give you the confidence to know you’re capable and worthy of success. The truth is, some of us just seem to naturally have reserves of mental toughness in abundance and at the ready whenever it’s needed, while others among us need a little more help. If you’re the sort that can use a little guidance when it comes to mental toughness, don’t worry — we’ve got you covered. 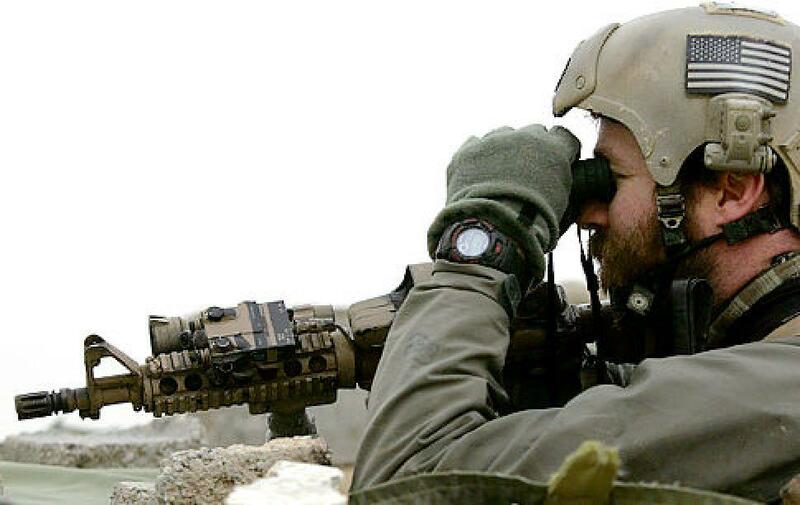 When you hear the term “Navy SEAL,” you automatically think tough — both physically and mentally. After all, Navy SEALs are the best of the best, the toughest of the tough, individuals who are hand selected to try out for this elite group. Although toughness is a minimum requirement for even being selected to try out for the Navy SEALs, the truth is that only a very small percentage of folks in this elite group actually make it through training, and to call it a rigorous process doesn’t do it justice. That said, when you meet someone who’s made it through and has become a SEAL, their toughness is not only a given — it’s an understatement. And when they’re willing to share strategies for developing mental toughness, you better listen! Mark Divine, a 20-year Navy SEAL veteran, recently shared his thoughts on building lasting mental strength on mindbodygreen.com. Divine is a firm believer in “mind over body” — that if you set your mind to a specific goal or task there’s nothing that can stop you from achieving it. He discussed 4 core tips that anyone can use for building a rock solid mental mindset. What have you been conditioned to think you’re supposed to do with your life? What do you think you are really supposed to do with your life? What do you feel you are really supposed to do with your life? Is there a tiny voice of doubt deep within you suggesting you are on the wrong track? Is that same voice nudging you forward with the sensation that you are on the right track? What ONE thing do you think you are here for? What ONE thing would you focus on if you had nothing holding you back? What would you do differently if you knew you had one year to live? These questions should be asked and answered as honestly as possible in an effort to get to your life’s purpose. Once you have a goal, it’s easy to envision yourself achieving it, and the very act of doing so can help boost your confidence and mental fortitude, allowing you to charge forward. Mark Divine asserts that a deep inward focus is the key to building true self-awareness in life, which ultimately leads to what he terms an “unbeatable mind” — which is the foundation of mental toughness. A nuanced and multi-faceted self-awareness can help you avoid repeating the same mistakes you’ve made in the past, which may have kept you from achieving your goals. Divine suggests that an excellent approach for building self-awareness and an unbeatable mind is to take a few minutes each day to meditate, think inwardly, and maintain a journal. This will really allow you to connect with your true inner self and grow stronger. Once you have a real purpose, born of true introspection and self-awareness, Mark Divine suggests that you determine your path for achieving success. Most goals have multiple possible pathways, but the truth is that they may not all be right for you. Confronting the reality of your current situation will help you determine the most effective path forward, which will help you flex and grow your mental muscles. Mark Divine believes that a strong and healthy mind requires a strong and healthy body. A good diet and plenty of exercise are essential for constructing a rock-solid mindset, which will power you to attack your life goals. He also acknowledges that, like most things in life, having a strong support system in place can go a long way to being successful. A group of positive and like-minded friends, family, and colleagues can make all the difference as you go through life and charge forward towards the goals you’ve set for yourself. There you have it — strategies for building mental toughness and going after your goals from someone who really knows what it takes. Take full advantage of Mark Divine’s advice on developing a strong mindset, and before long there’ll be no stopping you! Do something for yourself. Former US Navy SEALs Jocko Willink and Leif Babin explain why it’s important to plan, but not overplan. In their book “The Dichotomy of Leadership,” Willink and Babin describe what it takes to be a good leader, both in the military and in business. Leif Babin: Contingency plans, the likely things that might go wrong, those are critical. There’s situations where some leaders don’t even come up with contingency plans for likely things that are going to happen, and that’s a disaster. You can’t do that, ’cause then that’s gonna set your team up for failure and it’s going to certainly impede your ability to accomplish the mission. So what you have to do is balance that, not overplan but have some planning, and what that generally looked like for us in combat was come up with the most likely three or four contingencies that might happen for each phase of an operation. So if I’m about to kick off a major operation I’m gonna look at what the first- the one, two, or three things that are likely to go wrong. I’m gonna focus on those things, and then I might plan for that and then I might also plan for that worst case scenario as well. So you think through those things so the team knows how to react to those things, they’re prepared to prevent those things from happening or prepared to react to them when they do go wrong. And yet you absolutely can take that too far in the other direction and overplan. Jocko Willink: So let’s say a business has a project that they’re planning for next quarter. And it’s a complicated project. Now they have to do some planning, there’s no doubt about it. But we see businesses sometimes where they invest so much time and so much effort into their planning that they actually never make any progress on getting the project done. Or at least they take away from their effort to actually execute the project. So what you have to do is you have to be sensible. What you have to do is you have to find the balance. You certainly have to plan but you can’t spend so much time doing your planning that you never get anything actually done. Leif Babin: One of the first patrols I went out with, with the Marine Corps in a really dangerous area of downtown Ramadi, and when we were going out on this operation we knew we were going to be out there for at least 24 hours, and we knew it could be even longer. So I loaded out for World War III. I packed extra grenades and extra magazines with rounds and extra water and extra food and batteries and radios and everything that you could possibly imagine to try to cover all these contingencies in the event that we got extended out there, in the event that we were about to be overrun by a larger enemy force. And what that did to me was burden me down to a point where I was so heavy, the weight that I was carrying on my back, in my rucksack that I could barely keep up with the patrol and I certainly couldn’t lead that patrol. And that actually put me in a much more dangerous situation because I tried to plan for every single contingency. So you can take any of these things too far. You’ve gotta plan but you can’t overplan. Once a decision gets made, you’ve got to be able to get behind that plan and execute the plan as if it were your own plan. It doesn’t matter if you came up with it or if someone else came up with it. If you’re a good leader and you see, “Hey, this person came up with a great idea. Let’s give that idea a shot.” They’re in a better position to actually run with that idea. I’m gonna follow and I’m gonna let them lead, because I don’t care who gets the credit. I just want the team to win. And the best leaders are going to be able to do that.